The Ecco LED Tavolo Uno is a modern and convertible pendant light from the house LDM. The lamp is available in many different color combinations. So you can choose the one with the color of the lampshade between five alternatives, and also the cable color is between six variants freely selectable. Thus, the Ecco Uno LED Tavolo be tailored to your own taste. 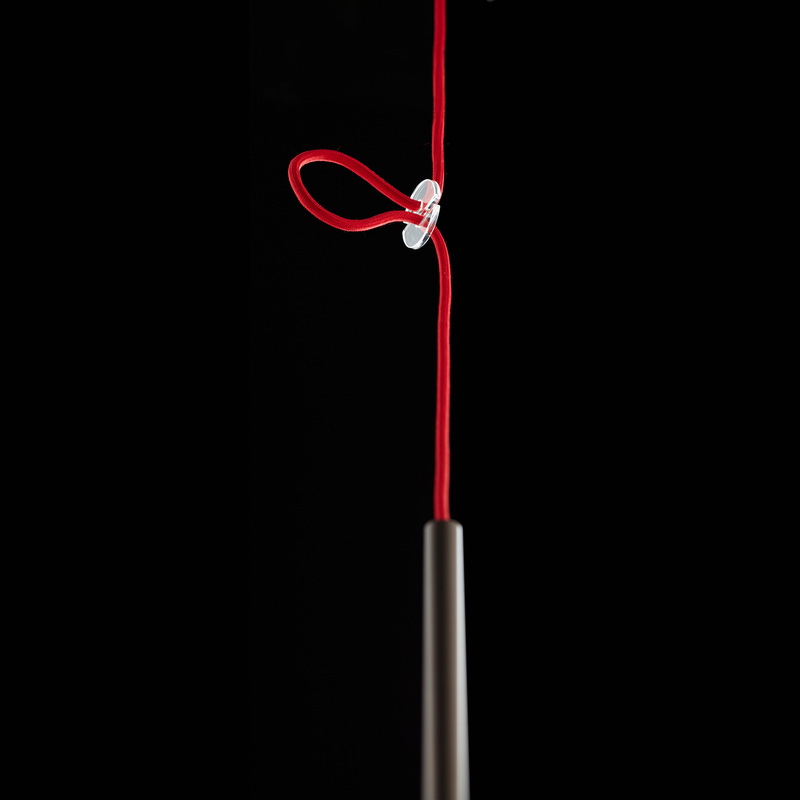 The pendulum length of the lamp is adjustable by means of a clamping part made of transparent acrylic glass. The Ecco Uno LED Tavolo is also supplied with three lens attachments through which the light effect of the light can be adjusted individually. So beam angle of 15 °, 25 ° and 43 ° are possible, whereby the light can be used as a targeted and highly focused spot or able to provide a larger area lighting. Thus, the Ecco Uno LED Tavolo is skillfully LDM to an optimal solution for living or dining room tables to illuminate from above, and by their unique charm and great customizability, the lamp becomes a very special highlight.